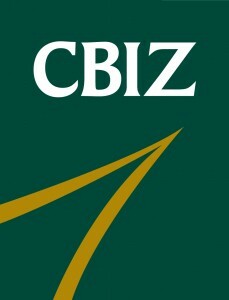 The CBIZ Small Business Employment Index, a premier barometer for small-business hiring tends, has reported a .57 percent decline in hiring during July 2013. The fall follows a previous drop in June of .21 percent. The results of the Index are in contrast to ADP’s July survey which found that the private sector hired more workers than was initially predicted adding over 200,000 new jobs. June employment gains were also revised upward to 198,000. • Twenty-four percent of surveyed companies increased staffing during the month while an additional 24 percent decreased staffing. Just over half maintained their number of employees. • Small business owners have access to the labor required to meet their demand but will continue to grow slowly until consumer spending increases to necessary levels. • Small business owners also continue to be somewhat skeptical of the future with many either unwilling or unable to make investments that would support accelerated economic growth. The primary cause for this skepticism is the uncertain fiscal policy direction and the lack of any easily identifiable macro-economic factors that would indicate growing future demand. “The jobs picture will continue to be clouded by the shifts in full-time and part-time workforces as businesses navigate around the health care requirements, and then again adjust to delays in those requirements,” says Noftsinger.